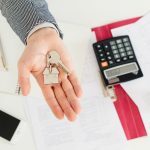 Home » What is Bill 28 aka Foreign Investors Tax? Housing laws are tightening in British Columbia, and interest rates are rising. In 2018, we witnessed a 34% reduction in sales, the biggest decline in the past two decades. Populations in major cities are growing, and citizens and foreigners are finding new homes here every day, but the housing market is slowing down. This decline is partially a result of the recently introduced Bill 28, the Miscellaneous Statutes (Housing Priority Initiatives) Amendment Act, 2016. What is Bill 28 about? Bill 28, also known as the Miscellaneous Statutes (Housing Priority Initiatives), was approved in 2016. It was introduced to curb the rapid increase of housing prices in Canada fuelled by foreign investments. The British Columbia provincial government put this bill in motion after receiving several requests to intervene in the inflating housing market. Not surprisingly, the bill has a major impact on domestic buyers and sellers too. A vacancy tax: this allows the city of Vancouver to place a tax on residential properties that are not being occupied. This law was created in hopes that people will stop buying houses as investments and leaving them unoccupied. Rather than pay taxes, homeowners are expected to sell them off and get rid of the extra expenses. Foreign buyer tax: every foreign individual or body looking to buy a residential property will have to pay a 15% tax (this tax is now at 20%}. This is an additional tax on top of any other taxes on real estate purchases. 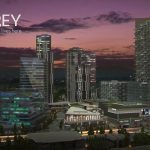 New regulations in the real estate industry: the real estate industry in B.C. was largely self-regulated. This changed considerably in 2016, see this article for details. Members of the major bodies in the industry set out the legal and ethical principles to follow. Agencies also decided on the major part of their method of operation. Although no major changes have been made yet, the government and select independent agencies now have the power to set and enforce standards within the industry. These changes can be found in the Real Estate Services Act. New housing priority initiatives: there is an allowance for a special account to fund housing initiatives relating to these new laws. The revenue gathered from the news tax laws will be used for housing and support programs. A year after the bill was put in motion, Vancouver saw a 26% drop in the sale of residential properties. Three years after, the market is at the lowest it has been in two decades; 34% down. 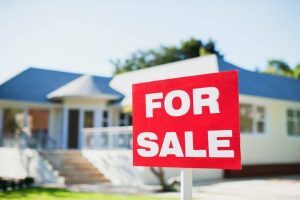 The result of these new laws is the lack of coordination between what the buyers expect, and what the sellers are willing to offer. Sellers generally believe that the market is not at a bad place, largely because the new taxation laws do not apply to them. Buyers, on the other hand, hope that sellers will reduce their prices so when the taxes are added, the total will not be too far off from former prices. We’ve also seen changes such as a raise in mortgage rates due to the new regulations by the provincial government. This dis-coordination has caused a standoff in the market; where both parties are usually not willing to lower their expectations. Of course, there are sellers who have lowered their asking price in a bid to sell off their properties quickly. These sellers however don’t realize that their actions are pushing the value of comparable properties lower. Other sellers who aren’t willing to compromise have no choice but to wish for older times when they could confidently ask for more value. Their only options are to either reduce their asking price or hope that the market balances out in the near future. Buyers are also waiting on this great future, as they are looking to get a better deal once the sellers give in. We can’t say when this will be because although the prices of homes are dropping, the average price is still too high for many hopeful homeowners. The provincial government expected these challenges, which is why the housing priority initiatives were set up. The plan is to redirect the funds which will be received from foreign home buyers into stabilizing the housing market for residents. In 2016 when the bill was passed, the housing affordability initiative in B.C. was also launched with $500 million. The first project was to increase available affordable housing in the Lower Mainland. Affordable housing units are often difficult to secure in areas with such high population. Regardless of the buyer-seller standoff, we expect to see more houses appear on the listings. Due to the vacancy tax, it is expected that buyers will soon stop paying extra for hoarding prime real estate and will start to sell off these properties. We can only hope that this wave of sellers returns some level of balance to the housing market. What We can Predict for the Housing Market in B.C. Like every other industry, we expect that the housing market will eventually balance itself out. Between now and this possibly distant future, buyers and sellers still have to determine when it is in their best interests to re-enter the market. Sellers do not want to let go of their properties because they are hopeful that the market value will increase. Buyers, on the other hand, are worried about taxes and hoping that sellers eventually fold and meet their bids. Timing is precarious, because it can either get better or worse from here. There’s still a lot of pressure to make sense of all these events, so markets players and analysts are considering every angle to make the right predictions. Real estate in B.C. contributes heavily to the economy, so its instability has a direct effect on the strength of the province’s economy. The major part of this contribution comes from construction and taxation in areas with a growing population. However, there are also the real estate players who acquire properties as investment assets. The real value of holding on to these assets will have to be questioned when taxes, debts, and affected incomes (economy remember?) are reconsidered. This could mean an increase in distressed sales which might favor buyers but push down market value. Other industry experts believe that the growing population will counteract these new changes. The growing population will require new housing which means more sales, rentals, and mortgages. However, not every group is convinced about this safe landing, especially with the introduction of the mortgage stress testing rules in 2018. This was a measure introduced by the federal banking regulator system to prevent homebuyers from incurring extremely risky debt. The aim was to allocate funding to buyers who could afford the houses of their choice and reduce the number of foreclosures realized. The regulators also wanted to ensure that the beneficiaries of loans will be capable of paying them off even with an increase to the interest rates. This test has been applied in the major cities of the province such as Vancouver and Toronto. Many buyers, especially first-time buyers, have received 20% less than the amount previously available to them. Of course, this reduction in loan size means that buyers are going for more affordable housing options. The sale of luxury properties such as condos have dropped by more than 34%. Usually, these affordable housing units would have been bought up by foreign investors who are now hindered by the 20% tax. Developers are now being approached by end-users who are willing to buy or rent individually. With this information, it goes without saying that the business of developing properties and selling them off has slowed down remarkably. These limitations do not just affect first time mortgage applicants and buyers. Homeowners with an existing mortgage often cannot receive their approved amount if they choose to move to a new property. They will have to take the mortgage stress test, and with tighter laws, may not qualify for their current mortgage. We can’t accurately predict that the provincial government will eventually relax these laws, specifically because they have initiatives to provide affordable housing for residents. Their initiative to push property hoarders into the market, reduce inflation caused by foreign investors, and quite giving bad loans seems to be working. The part of the market which seems to take the biggest hit is the luxury housing market. It is expected that this downward pressure will hold as these listings are currently out of reach for majority of the buyers in the market. Homeowners who are planning to move should expect to compromise for a less expensive property, because more stringent policies are being applied. For new applicants and buyers looking to take a loan, the best deals might not be available to them. With no experience in the market and a possibly low score on the test, new buyers should be looking at the cheapest properties that they can compromise for.